Round-the.clock action against weak competition. Compatible with PC, Mac OS X, Linux, Android, Windows Phone and iOS. Most tournaments have excellent structures. Rake and tournament fees are slightly higher than the industry standard due to French law. One thing that separates Winamax from the competition is its outstanding mobile poker offering, which allows mobile players to enjoy all the features that are available on the downloadable poker client. The Winamax mobile app is available on iPhone, iPad, Android and Windows Phone. 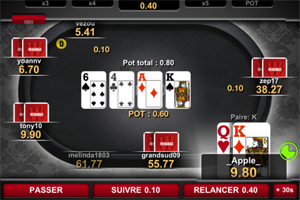 Each one of the apps allows you to play up to four tables simultaneously. 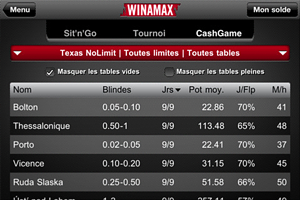 Market leader in France's regulated poker market, Winamax has rapidly expanded throughout Europe. Winamax is an excellent choice for any poker player thanks to its slick software, some excellent promotions, a great array of tournaments and a weak player pool. Created in 2007, Winamax is now home to over 2,500,000 registered players. The site counts more than 1,500,000 real money players, with thousands of them regularly connected during peak times. 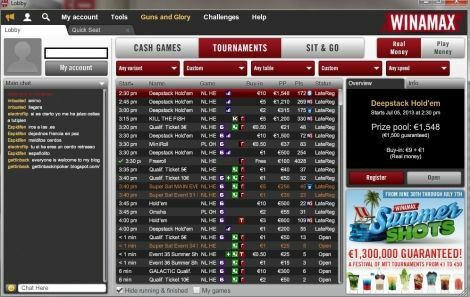 The room also hosts some of the most popular tournaments in the online poker industry, with weekly guaranteed events that typically attract several thousand players. 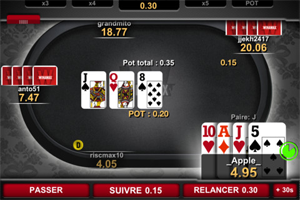 Winamax is the dominant force in the French online poker market and it is available for PC, Mac and Linux. Playing poker on the go is easy on Winamax, as the room offers a wide range of free mobile poker apps for basically any mobile OS in the world – and this means that yes, besides the regular iPhone / iPad and Android poker apps, Winamax has one that works on Windows phones too. If you don't like to play for real money, Winamax also offers play money poker games both on Facebook and within their poker client. 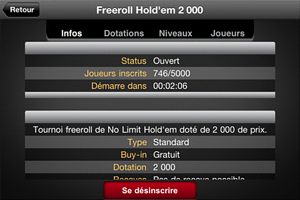 In order to comply with the rules set by the French regulator ARJEL, the sign-up process at Winamax is different to most other poker sites. Please read the following instructions before you sign-up for an account at Winamax. 1. When a new player signs up, he must do the following - otherwise he will not be allowed to play in real money games, freeroll tournaments, or make a deposit. Provide his date and place of birth. Provide his bank account number (IBAN and BIC/Swift numbers). Define spending and playing limits. A copy of an ID document such as a passport or a driving licence. A proof of bank account ownership, such as a bank statement. Both documents must match the details entered when creating the account Winamax. Failure to provide this information within one month will see the account locked. If the documents are not sent within three months, the account will be permanently closed. 3. Once Winamax has received and validated all of the relevant documents, a letter containing a personal validation code will be sent to the player's postal address. 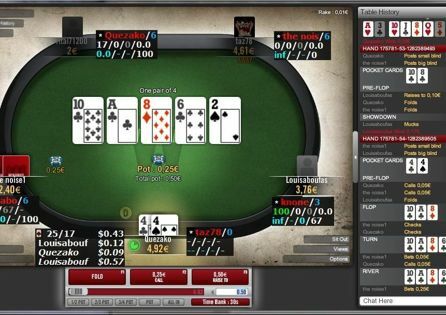 The player has then six weeks to enter this code in the Winamax software. The player will be allowed to withdraw funds from his account only once this last step will have been completed. 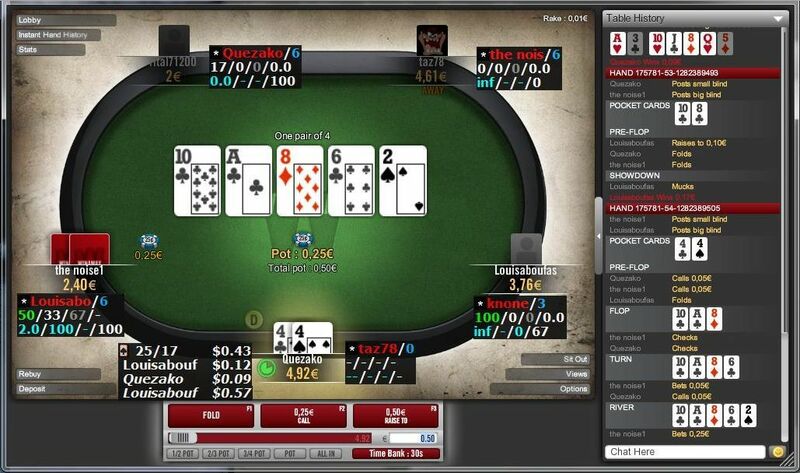 Please note that as of October 1, 2014, players from the United Kingdom cannot play at Winamax. As a new customer, you receive a 100% match up to a maximum of €500 bonus when you make your first deposit at Winamax. The bonus is released into your account in five equal parts once you have earned the required 'miles' (Winamax's frequent player points). You need to earn 30 miles per €1 of bonus, and you have three months to clear the full bonus. See our VIP section below for details about how 'miles' are earned. Winamax's VIP scheme has six monthly tiers and six annual levels. Each time you pay €1 in rake or in tournament fees you are awarded 4 points. These points are then multiplied depending on your VIP status to give you miles. The table below shows the various VIP tiers and the miles required to reach each level. 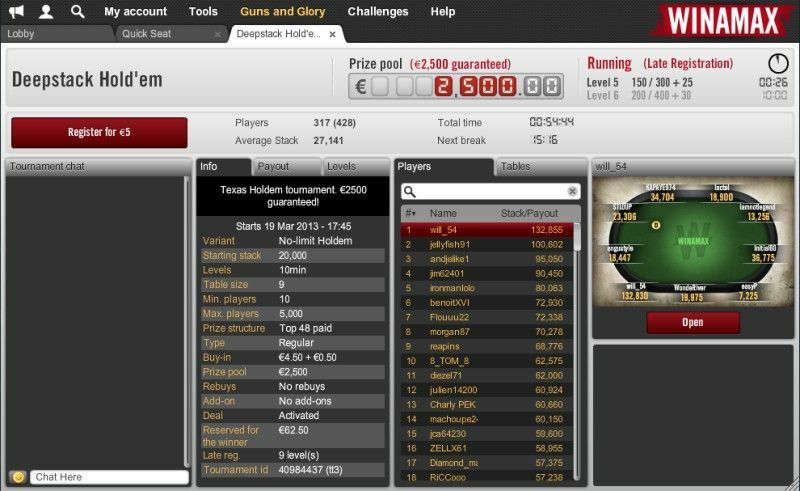 Each VIP tier has its own special freeroll or freerolls with prize pools ranging from €1,000 up to €20,000. You can also exchange miles for tournament tickets, cash bonuses and exclusive merchandise in the Winamax boutique. Whenever you play for real money at Winamax, be it at the cash game tables, sit-and-go tournaments, multi-table events or Expresso tournaments, you are awarded Experience Points (XPs). These XPs have no cash value, but that does not mean they are not extremely valuable. The XPs earned at Winamax are used for the excellent Guns & Glory feature, where you earn trophies, mascots and weapons, depending on the number of XPs you've earned or the challenges that you have managed to complete. As your XP total increases, so does your level. Each level is depicted by a weapon such as a plastic sword (that everyone starts with as soon as you’ve earned 1XP), a machine gun, nun chucks and even a bazooka! What’s even funnier, is that your weapon is carried by an avatar/mascot which also changes each time you improve your level. In addition to the weapons and mascots, Guns & Glory features a whole host of poker missions for you to complete. Spread across five categories, these missions award XPs when you complete them. Some are simple to achieve - such as playing two cash games simultaneously - while others are much more difficult and only the most dedicated players will ever collect them. Last, but not least, is the Hall of Fame, where the most successful players are showcased for everyone at Winamax to see. There's a podium showing the top three XP earners of all-time, the biggest number of cash game hands played, the biggest cash game stack ever built and more besides. To some, the Guns & Glory may seem like an unwanted gimmick, but trust me when I tell you that as soon as you level up and gain a new weapon and mascot, you will find yourself going the extra mile in order to secure some new ones. Guns & Glory is a great idea that combines poker with having fun, and we think it should be applauded. French laws only allow no-limit hold'em and pot-limit Omaha games to be played. 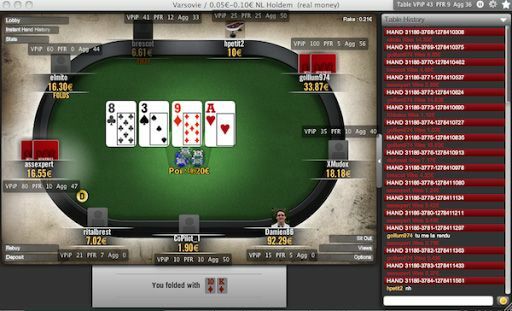 Winamax offers both of these variants in heads-up, five-max and nine-max cash games, sit & go tournaments and multi-table tournaments. 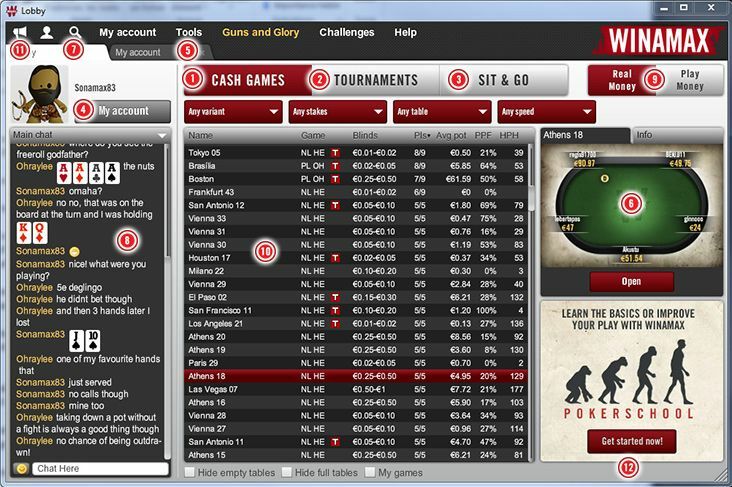 The tournaments at Winamax are very well structured with plenty of play in them. One of the most popular weekly tournaments is the €40,000 guaranteed Sunday Surprise that awards the champion a surprise gift. Past gifts include a holiday to Ibiza, a week in Argentina, a pair of Google Glasses and a 10-day trip to Mauritius! Winamax is also the home tothe Expresso tournaments, the popular three-handed hyper-turbo sit-and-gos with buy-ins ranging from €1 to €10 that randomly select a winner-takes-all prize of between 2 and 1,000 times your buy-in! If you have any query or are experiencing any problems at Winamax, you can help yourself via the extensive user guide and online help section available on the room's website.